Got a ton of coupons to add? Look no further! Preparing for promotion in a store takes a good amount of time: set up discounts, order advertisements, add a banner to storefront and so on. 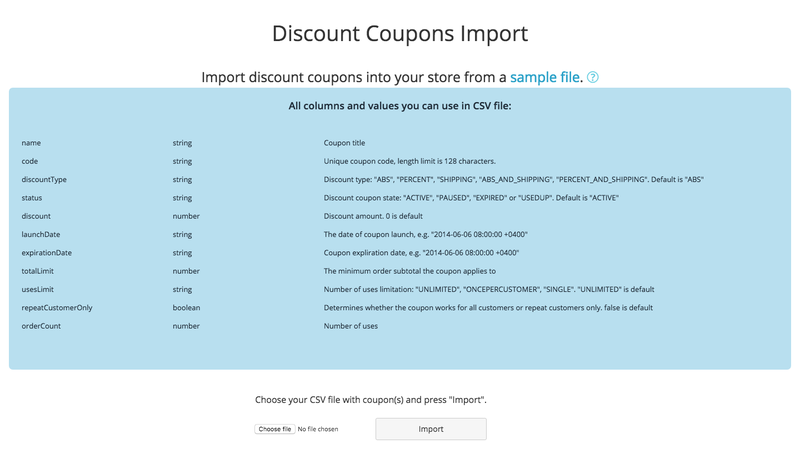 But how to create many discount coupons you already planned at once? Now you have a solution. 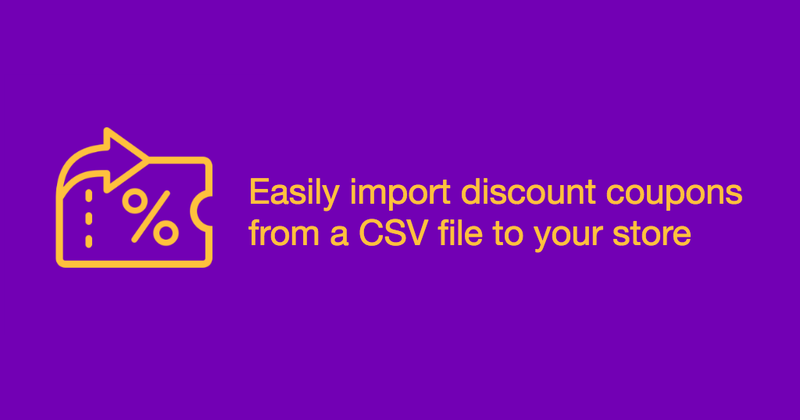 Discount Coupon Importer helps you import as many coupons as you want right from a CSV file. This way you can prepare it carefully and submit into the store whenever you are ready. You can also limit the coupon’s expiration and launch dates, how many times it can be used, and other options. Save your time and get busy selling!